There is little known about the ancestry of the bee, as fossil records are extremely rare. However, it is known that as long as 80 million years ago the first known bees evolved from a wasp-like ancestor that gave up its carnivorous diet for that of a vegetarian one. Primitive man learnt to gather honey by “robbing the bees” about 10 000 years ago. No doubt he would have been captivated by the sweet aromatic smell sailing on the winds from high up in the tree hollows or rock cavities. The highly prized honeycomb would have been worth all the bee-stings. In Spain, Mesolithic rock paintings over 7000 years old have been found depicting the ancient beginnings of Apiculture (beekeeping). The first known Apiculturists (beekeepers) were the Egyptians in 2400BC. Egyptians valued honey so greatly that they offered it as payment to the gods or offered it to members of society who occupied positions of great status. They used it to embalm the dead and it was also used as a source of currency and taxes as well as to feed animals that were deemed sacred. The Ancient Greeks offered honey to the spirits of the dead as a tribute to their gods as they believed it was the gods staple diet. The Greeks claimed that Zeus (The King of the Greek gods) was fed nectar from the bees during his upbringing. 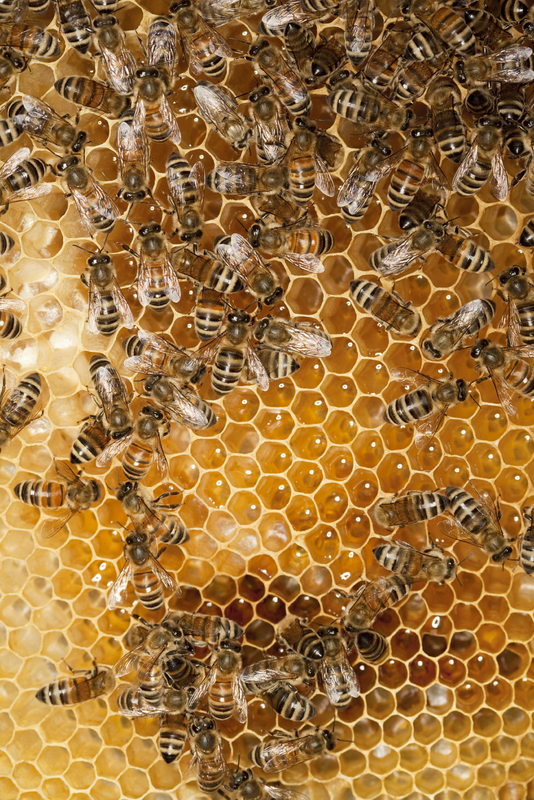 Romans adopted the art of apiculture and developed it into a major rural industry throughout their Empire. The Bible refers to the area encompassing Israel and Palestine as the land of milk and honey. Christian faith added further demands on the production of honey and beeswax and the apiculture industry flourished. Wax for candles was extremely important for the Christian churches. The New World beckoned and its Explorers soon found other practicing beekeepers in newly explored areas of the World such as Mexico and Central America. Mexicans had had a long tradition with the production of honey. The European settlers then introduced the European honeybees to the Americas and used honey for eating and for preserving fruits and wax for making furniture polish.